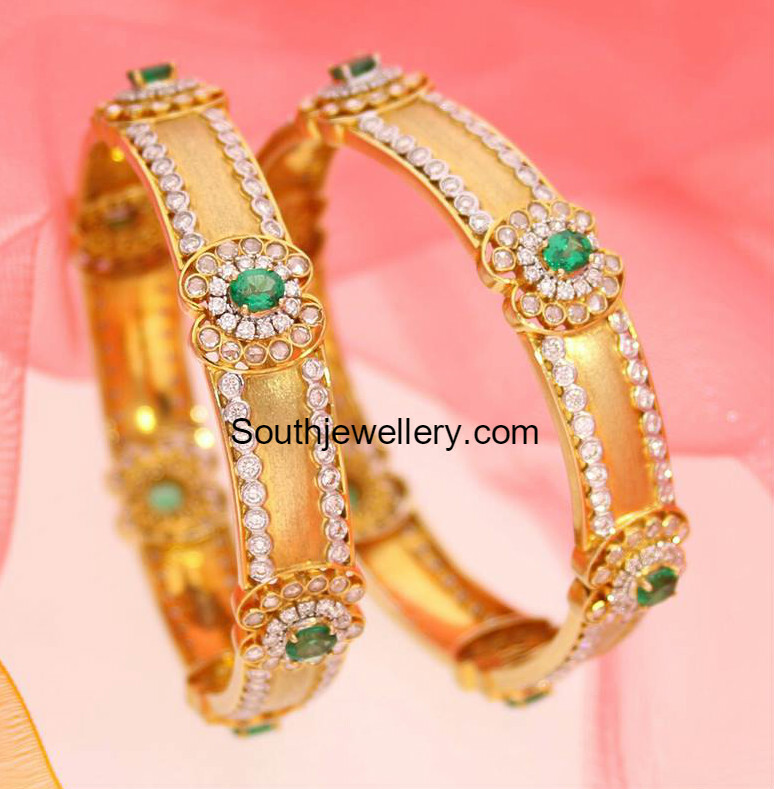 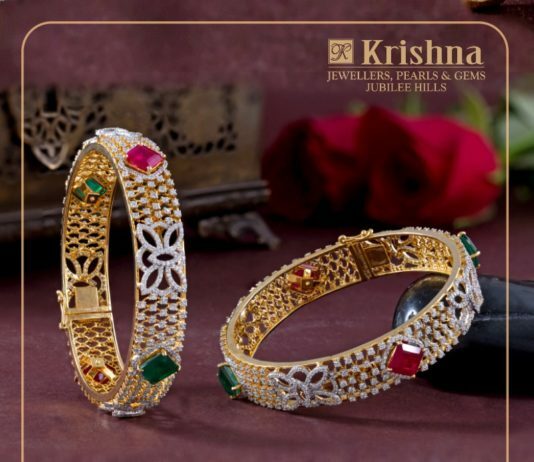 22 carat gold antique bangles studded with diamonds and emeralds. 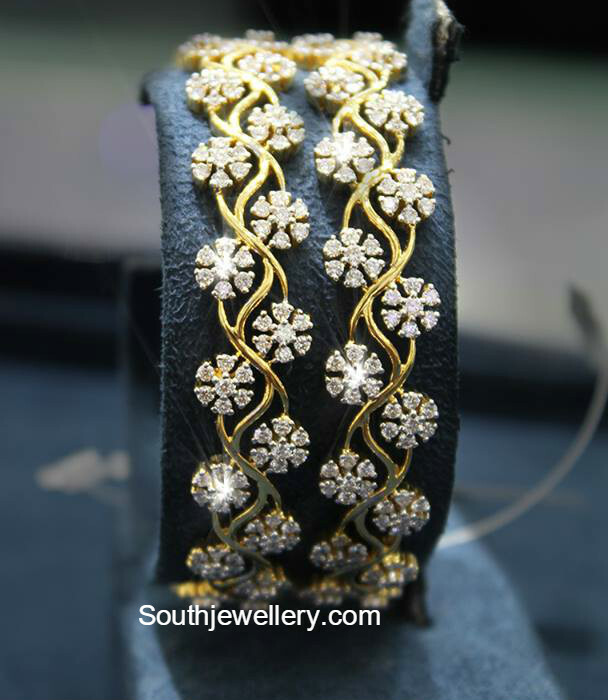 18 carat gold floral design bangles studded with diamonds. 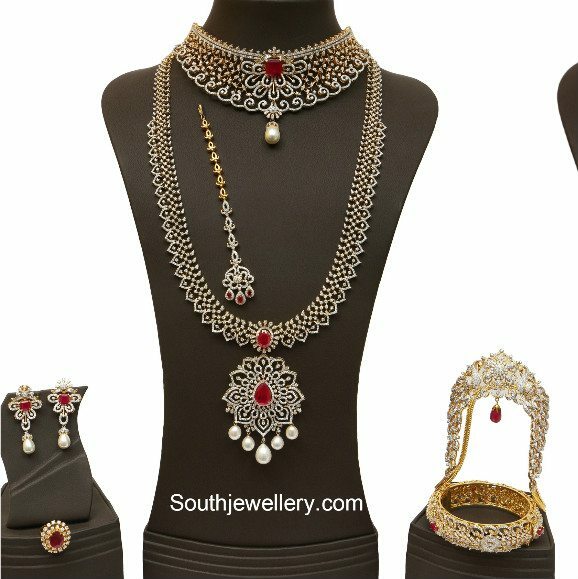 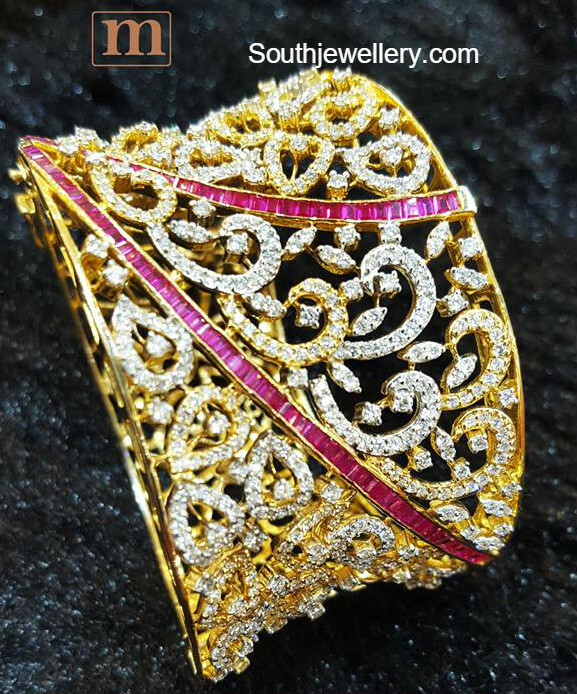 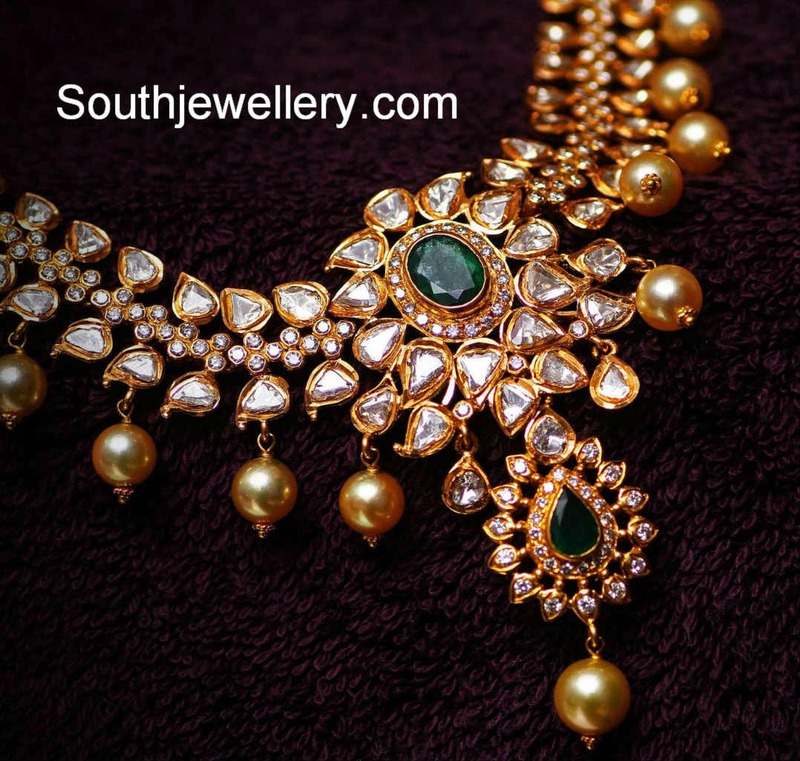 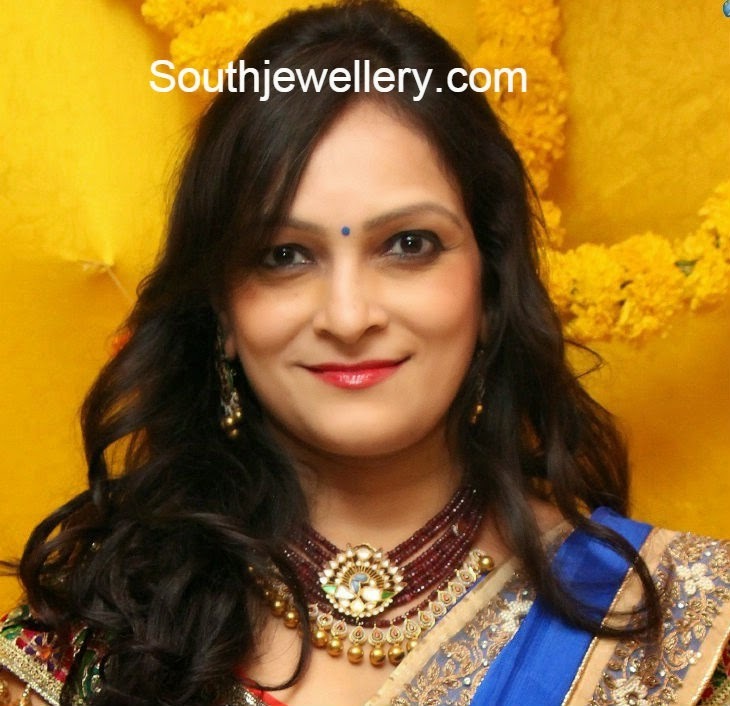 18 carat gold broad bracelet studded with diamonds and rubies from Sri Mahalaxmi Jewellers and pearls. 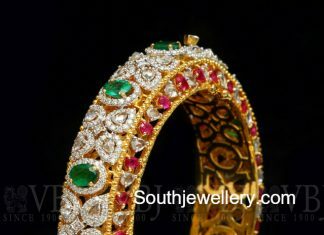 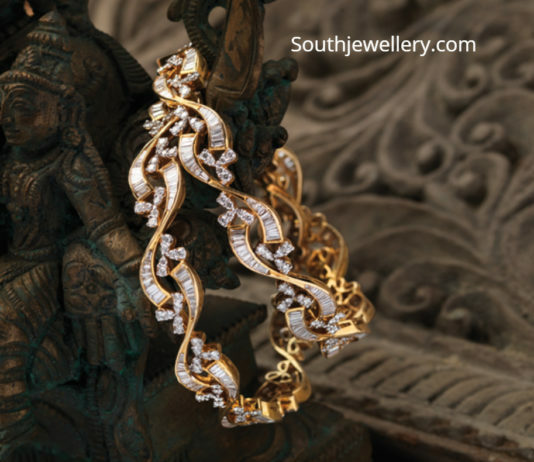 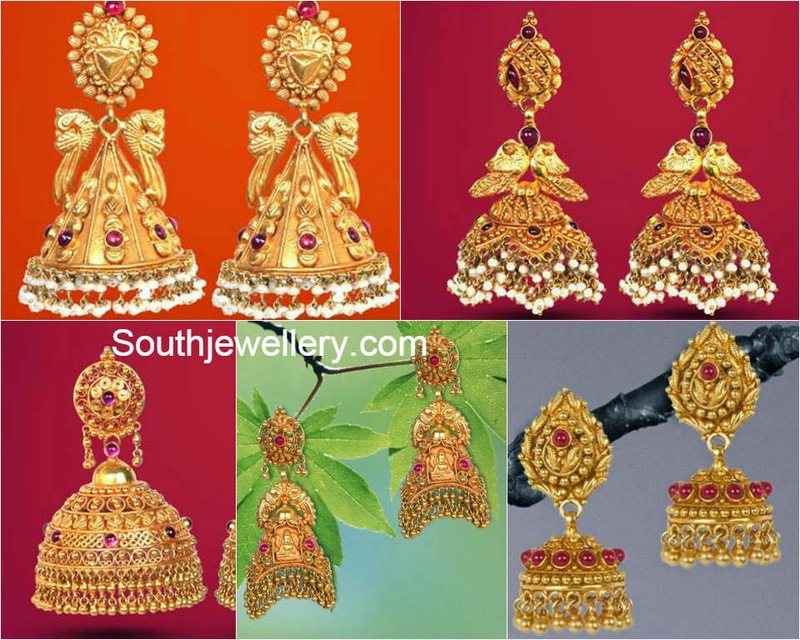 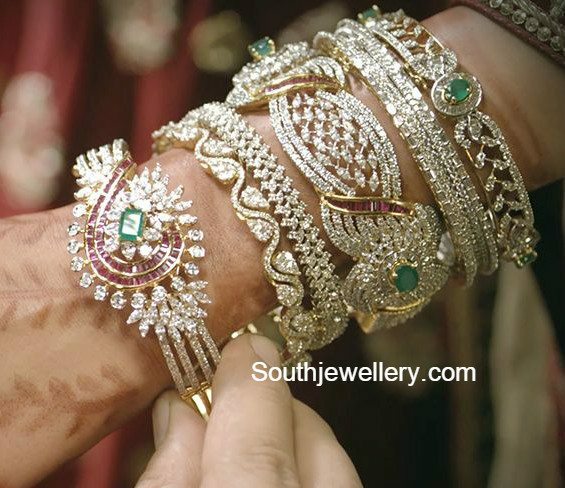 18 carat gold diamond bangles and bracelets from TBZ Jewellers.